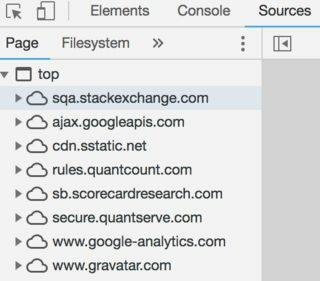 automated testing – How to utilize Chrome Dev tools for QA(manual or automation)? Show the source code so you can see if it is what you expect and to see what elements you can use in automation, what id’s are being used, etc. So you know where the browser is getting (or trying to get) content from. So you can verify calls are coming from correct locations, e.g. prod pages are using prod calls and not staging environment calls by mistake. So you can see the http get, post, etc. calls and how long they took. 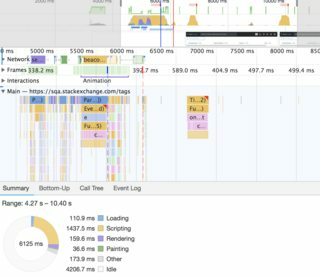 You visit this tab and then reload the page and then you can see what’s taking the most time. Allows you to see any sites that are particularly slow including resources such as media and content servers. Note Folks often actually want the network for ‘performance’ information. 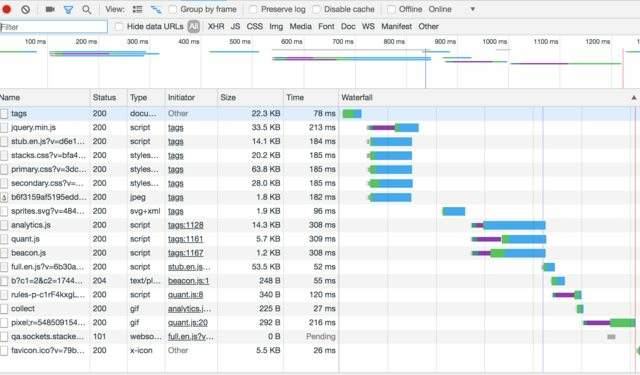 Browser memory usage, helps to show if inefficient or resource intensive code is being run.